Amsterdam, NL – There is growing evidence that at least in some patients with Parkinson's disease (PD), the disease may begin in the gut. 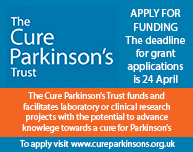 Writing in an open access special supplement to the Journal of Parkinson's Disease, experts explore the last two decades of research about the gut–brain axis in PD and look ahead at the possible development and impact of these research areas in the next two decades. "Better understanding the role of the gut in PD will help us to understand the origin of the disease and to improve treatments," explained Filip Scheperjans, MD, PhD, from the Department of Neurology, Helsinki University Hospital, Helsinki, Finland, and colleagues. "There is accumulating evidence that at least in some PD patients, the origin of the disease may lie in the gut with possible involvement of abnormal protein aggregates, local inflammation, and the gut microbiome. Therefore, further studies into the role of the gut in PD are important and may reveal new possibilities for diagnosis and treatment." 1. Alpha-synuclein deposits are observed in the enteric nervous system (ENS) of PD patients. 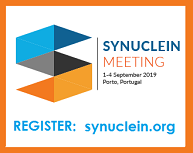 However, it remains to be determined if the alpha-synuclein aggregates in the ENS are biochemically similar to the ones found in the brain as this might be critical in understanding the role of the gut in PD pathogenesis. 2. 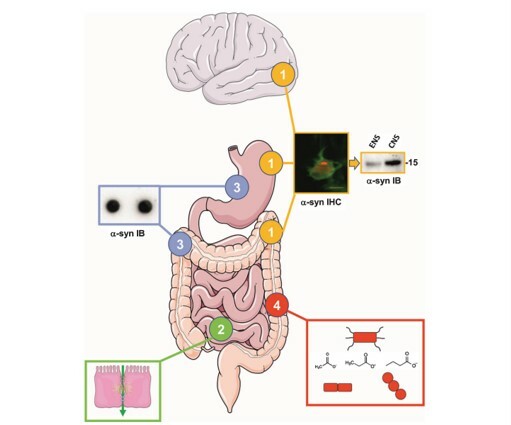 Triggering of initial alpha-synuclein aggregation in enteric nerve terminals through extrinsic factors could be facilitated by intestinal hyperpermeability. It remains to be definitely demonstrated that intestinal permeability is increased in PD. 3. Results of immunohistochemistry-based studies on alpha-synuclein deposits in the ENS of PD patients have provided conflicting results. There is therefore a critical need to develop alternative techniques to detect alpha-synuclein aggregates in the gut. 4. Alterations of gut microbiota composition in PD have been shown in multiple cross-sectional studies from diverse populations. It will be crucial to determine the mechanisms that connect gut microbiota and PD in large multicenter studies of PD patients before and after diagnosis as well as in animal models employing multiomics approaches. "The gut has emerged as one of the new frontiers in PD research," commented Patrik Brundin, MD, PhD, Van Andel Research Institute, Grand Rapids, MI, USA, and J. William Langston, MD, Stanford Udall Center, Department of Pathology, Stanford University, Palo Alto, CA, USA, Editors-in-Chief of the Journal of Parkinson's Disease. "We predict there will be several advances regarding the gut in the coming 20 years. Changes in the gut might be utilized to diagnose PD earlier; new therapies targeting these changes might slow disease progression, reduce constipation, and improve gut function in patients who have already been diagnosed." Full open access study: “The Gut and Parkinson’s Disease: Hype or Hope?,” by Filip Scheperjans, Pascal Derkinderen, and Per Borghammer (DOI: 10.3233/JPD-181477) published in the Journal of Parkinson’s Disease, Volume 8, Supplement 1 by IOS Press. It is openly available at content.iospress.com/articles/journal-of-parkinsons-disease/jpd181477. For additional information, contact Diana Murray, IOS Press (+1 718-640-5678 or d.murray@iospress.com). Journalists wishing to interview the authors should contact Filip Scheperjans (filip.scheperjans@hus.fi). 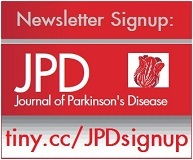 The Journal of Parkinson’s Disease published a special issue in 2017 to commemorate the 200th anniversary of James Parkinson’s "Essay on the Shaking Palsy," and we highlighted eight of the most important advances in Parkinson’s research over the past 60 years. As we were working on that special issue, we commented on how the pace of Parkinson's research has accelerated remarkably. We speculated that there would be more advances in the treatment and care of Parkinson's disease during the coming 20 years than were evident during the preceding 200 years. Thus, the idea of a collection of short, forward-looking, and visionary articles was born. Eventually, we identified 19 topics for articles, and we are very excited about the outcome. In 1964 Bob Dylan sang "The Times They Are a-Changin';" this special supplement clearly shows that the field of Parkinson's is no exception. This new special issue, published as a supplement, is openly available at content.iospress.com/journals/journal-of-parkinsons-disease/8/s1 or via the link tiny.cc/JPD20.